Sirshin Moodliar spoke to Maryke Vermaak from Jacaranda FM, who was at the EFF rally in Newcastle where Julius Malema addressed a crowd on his strong views on taking back the land from white people. 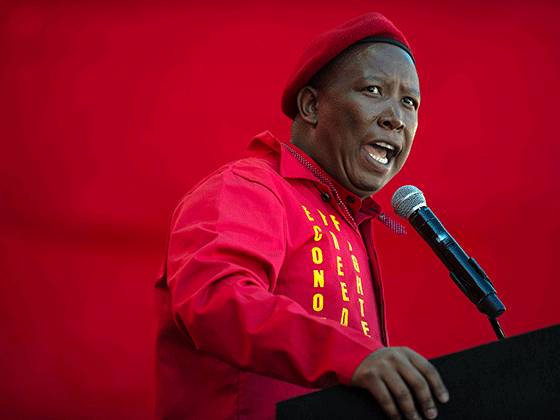 After appearing in the Newcastle Magistrate Court on Monday, EFF leader Julius Malema made a passionate speech calling for black African’s to take back their land. He was appearing in court for a similar speech he made in June earlier this year, contravening the Riotous Assemblies Act. "We will take our land no matter how. It's becoming unavoidable, it's becoming inevitable," said a defiant Malema. "They (white people) have been swimming in a pool of privilege; they have been enjoying themselves because they always owned our land. We the rightful owners, our peace was disturbed by the white man's arrival here." Sirshin spoke to Maryke Vermaak, a journalist from sister radio station Jacaranda FM, who was present during Mr Malema’s speech. Sirshin then put the call out to you, here is what you had to say.